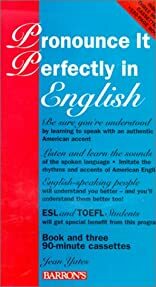 PRONOUNCE IT PERFECTLY IN ENGLISH was written by Jean Yates. 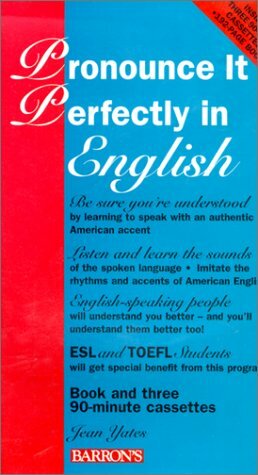 PRONOUNCE IT PERFECTLY IN ENGLISH was published by Barrons Educational Series. About Jean Yates (Author) : Jean Yates is a published author. Some of the published credits of Jean Yates include Pronounce It Perfectly in Spanish, Pronounce It Perfectly In English.